If the contact angle of a radial deep groove ball bearing is enlarged to 90°, only axial loads will occur. In contrast to radial deep groove ball bearings, all the rolling elements bear the same load. On account of their design, thrust bearings are suitable for low speeds with low centrifugal forces at very high rigidity. Thrust bearings are available in single direction and double direction versions. 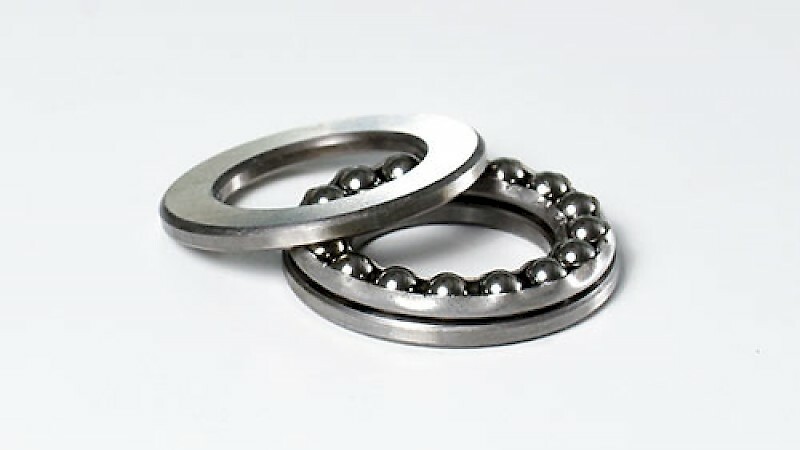 Thrust bearings are often used in combination with radial bearings. Alongside classic thrust bearing designs, there are also some special forms available: angular contact thrust ball bearings, pivoting bearings or swing bearings.